Times have changed since Grams and Gramps were your age, looking to settle down and buy their first home. But today the house with the white picket fence—or that trendy loft in downtown—isn’t completely out of the question if you look in the right places. In no particular order, we rounded up a list of 17 cities with the lowest cost of living and affordable property. To fuel our research, we used the Economic Policy Institute’s Family Budget Calculator. * We also used Data USA to gather the average property value in each city to help you get a better idea of the housing price tags. Living affordably in Louisville is no gamble. Derby City’s median property value is $141,900, and a budget of $26,280 will see you through the year. Forbes recently scored the city’s cost of living 5.3 percent lower than the national average, so when you’re living here, you can splurge on that mint julep at the races—the kind in the fancy copper cup. And trust us, the excitement of the annual Kentucky Derby is reason enough to move to this southern city. “Ooook-lahoma, where the wind comes sweepin’ down the plain…” Secret’s out—we know you’ve memorized all the words to the Broadway hit, but did you know that Forbes named Oklahoma City the most recession-proof town in the nation? The cowboy-centric capital city, where the barbecue food is to die for, has an average property value of $136,900, and you can live comfortably on $25,304 a year. Just beyond the prairie, you can get a taste of the big city without selling the farm. Columbus is a thriving cosmopolitan hub that has a real passion for the Buckeyes. In addition to its die-hard football fandom, the capital city has a resilient job market. 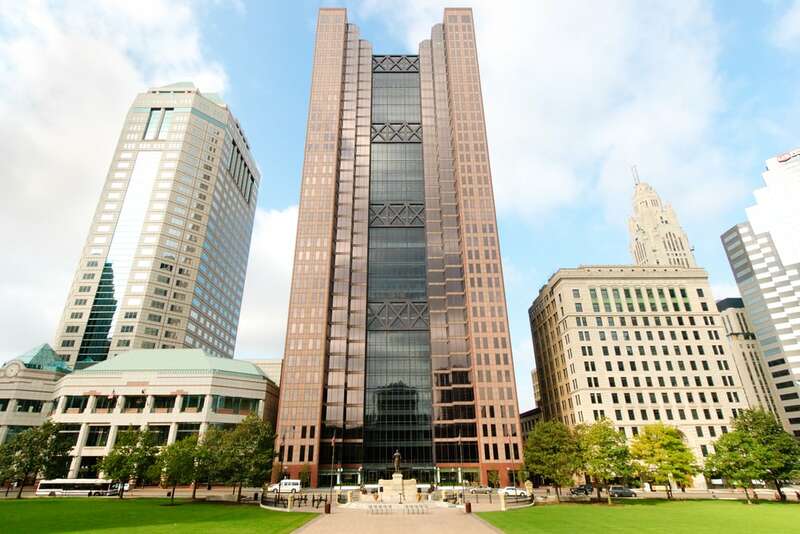 A recent Gallup survey ranked Columbus the nation’s second strongest metro area for job creation, with research and technology institutions taking the lead. That’s great news for all you tech nerds out there. As for the numbers, you can get by on roughly $27,193 a year, while the median property value comes in at $123,700. You’re young, you’re hip, and you’ve heard Colorado is the place to be. So why not head south to Colorado Springs? You’ll wake up to a sweet view of the Rocky Mountains, but the median property value is much lower ($205,600) than other Colorado cities, and you’ll only need to budget around $26,899 a year. Better yet, it’s completely free for you to explore the city’s legendary Garden of the Gods, so you can venture around without leaving your wallet high and dry. 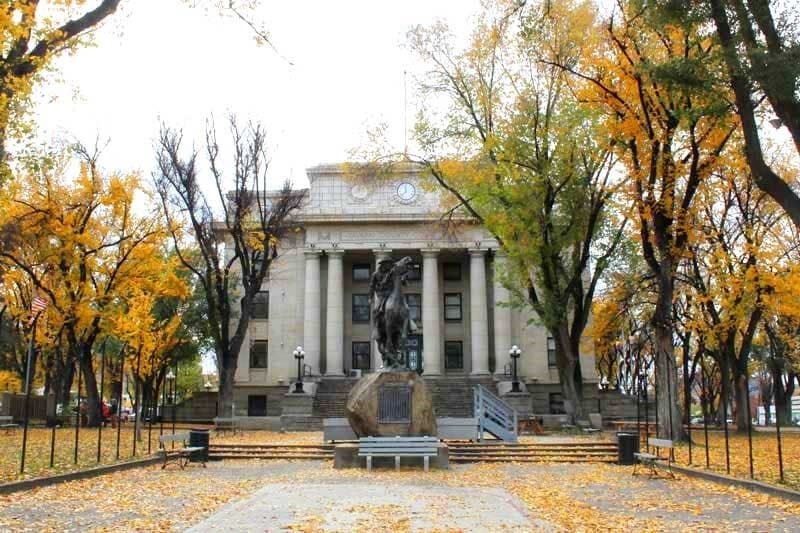 The name of this Montana city might have you sweatin’ your finances, but Billings is actually pretty easy on your wallet. The city’s economy is strong, and Forbes named it on its list of “The Best Small Places for Business and Careers.” On top of its viable job market, the budget calculator suggests that one year would only cost you around $25,823. Looking to buy? The median property value averages $180,900—not too shabby for a city where you have a view of seven different mountain ranges. Grand Rapids may be known for its chilly winters, but that didn’t stop Lonely Planet from ranking it number one on its list of top U.S. travel destinations—all thanks to the city’s awesome beer scene and year-round festivals. 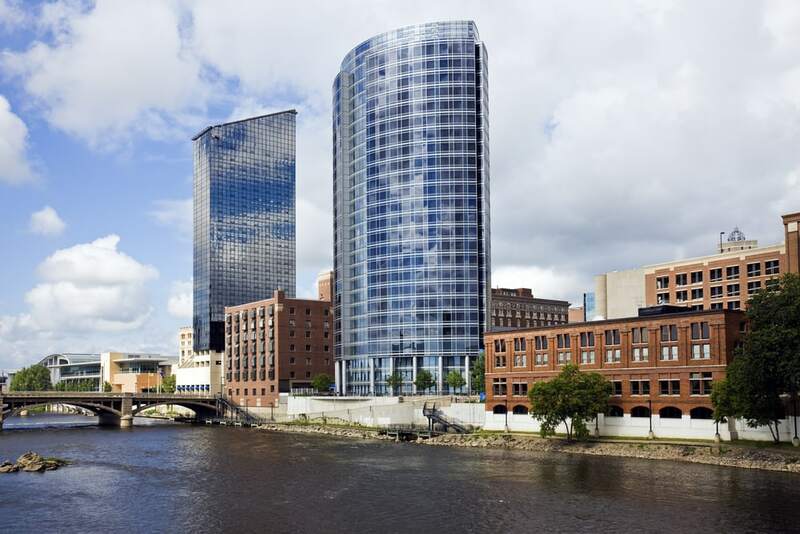 AreaVibes’ Livability Score determined that Grand Rapids’ cost of living is 11 percent lower than the national average and its cost of housing is 31 percent lower than the nation’s. Top it off with median property value of $109,400, and annual costs of just $26,807, and you’ll know why this city is rapidly becoming a hot spot. Beer lovers, head to Chico’s eco-friendly Sierra Nevada Brewing Co., and hop on a free (yes, free!) sustainability tour of the brewery. And while you’re at it, forget what you’ve heard about California’s sunshine tax. 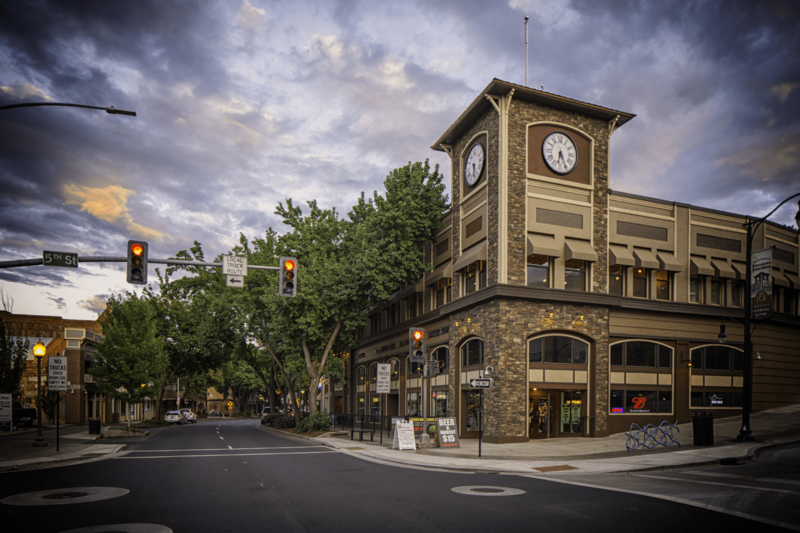 Unlike its coastal neighbors, Chico is one of the cheapest places to live in California—AreaVibes notes that its cost of living is 4 percent lower than the California average. With just $26,887, you can comfortably live in Chico for a year without blowing your retirement funds. As for property values, they are on the higher end, averaging $266,500 (let’s be real, it’s still California price tags). Brave the rapids at Salmon River Canyon or pitch a tent at Hells Gate State Park. This sweet spot in the Lewis Clark Valley is a mecca for the outdoorsy type, but don’t worry, you can swing something a little swankier than a camping tent. The average property value is $165,700 and the annual cost of living is just $26,183. And get this: The cost of housing here is a whole 13 percent lower than the national average, according to AreaVibe’s research. You don’t have to sell your kidney on the black market to afford ocean breezes and sunsets. In Dunedin, just west of Tampa, you can actually afford a place by the sea. This coastal city was even ranked number one on Moving to Florida’s list of “The 5 Most Affordable Places to Live in Florida in 2015.” The property value averages $156,500, and you only have to budget for roughly $28,316 a year. 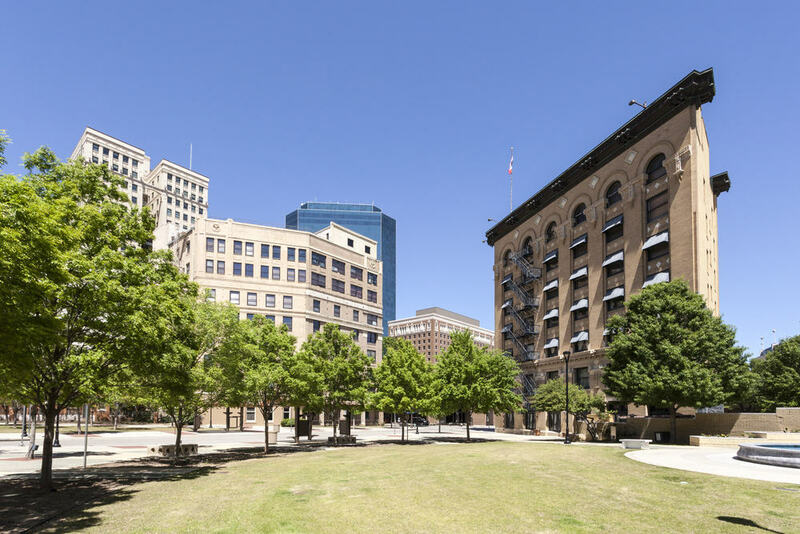 They say bigger is better in Texas, but that doesn’t mean you have to fork out the big bucks to live in Fort Worth. Though it’s near Dallas, the cowboys in Fort Worth wear spurs, not football helmets. It’s a city where rodeos and NASCAR races rule. You can live off of $28,288 a year and come across property values averaging $120,100, all while avoiding the nightmare that is Dallas traffic. No, we’re not talking about that Lake Geneva, the one in the Alps, because it’s probably not in your price range right now. But the Lake Geneva in Wisconsin might be. It’s a resort city, with rad lake views and a thriving tourism industry, where the property value averages $200K. Got $27,645 to live on each year? If so, make your home here and you live every day like you’re on vacation. If you’re a closet hipster, tracking down coffee shops and craft breweries left and right, you’ll fit right in in Vancouver. Borrowing some of Portland’s quirkiness, The ’Couve does require a little more saving on your part—$30,833 a year—but the caffeine buzz is so worth it. In terms of property value, the current rate averages $201,400. You don’t have to be an astronaut to find good work in Huntsville, which is known as Rocket City due to its numerous aerospace centers. ZipRecruiter recently named Huntsville on its list of “The Top Southern Cities for Jobs Right Now,” with healthcare, trucking and engineering positions most in-demand. 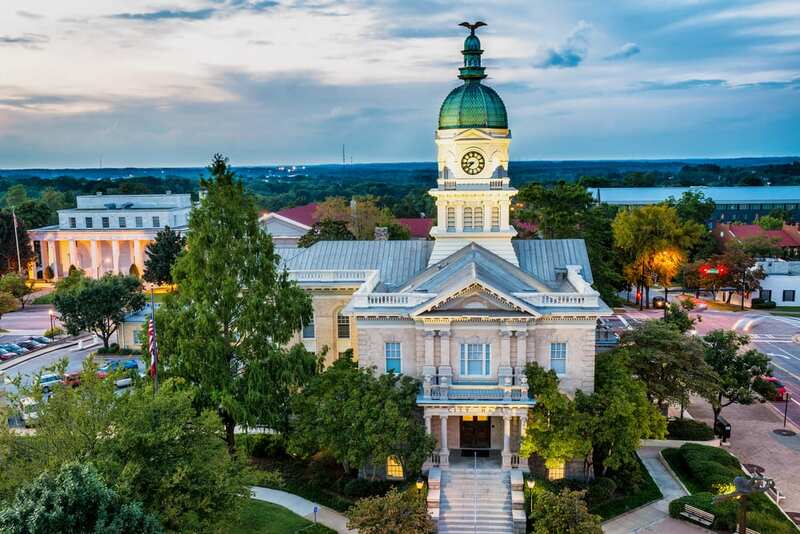 With property values averaging $158,400 and around $27,156 seeing you through the year, it’s not rocket science, your pennies will go further in this southern town. While it might not have ancient charm like the Athens in Greece, Athens, Georgia, has an awesome music scene. In fact, bands like R.E.M. and the B-52s cut their teeth here before making it big. To live in Athens, you only have to budget $27,787 a year, and what’s more, some of the best shows in town are free. The property value averages $156,700, and the cost of housing is 12 percent lower than the national average, according to AreaVibes. Just 20 miles north of Austin is Round Rock, where you can still keep it weird but you’ll run into a more affordable median property value of $168,800. You’re still close enough to practically hear the live music blaring from Austin’s Sixth Street, and because the annual cost of living is just $29,904, you’ll have cash to score an Uber ride down there. And if technology is more your vibe, you’ll find plenty of tech jobs in this part of town, where Dell, IBM and Samsung all have offices. If Arizona has always been off the table because you’re worried about the sweltering heat, think again. Ditch your thoughts of cacti and dirt roads, and consider living in mountainous Prescott. This scenic destination features the Prescott National Forest, and it borders three other national forests, offering endless outdoor adventure. Your annual budget will need to be around $27,396, and you’re looking at property values around $263,100. Trade the craziness of the big city for the quiet countryside in Maysville. This quaint Kentucky destination offers a slower pace of life, where the cost of housing is a whopping 43 percent lower than the national average. That probably got your attention, huh? This farm town has a median property value average of $108,700, and with $26,338 a year, you’ll get by just fine living along the scenic banks of the Ohio River. Forget anyone who says that you can’t live comfortably these days. The American Dream is still alive and kicking around the country. All it takes is finding the perfect ZIP code to make that dollar bend and stretch. Explore these cities and discover some of the cheapest places to live in America that won’t break the bank. * The Family Budget Calculator determined the annual cost of living for a single adult without kids in each city. The budget incorporated housing, food, transportation and healthcare costs along with taxes and other random necessities.